Engineering outsourcing has always seen an upward growth in the past and this trend will continue in the same way in 2018 as well. The engineering experts and analysts predict that the engineering outsourcing will have a constant growth rate of about 25.68% during the period of 2016-2020. Global engineering is gaining a lot of traction in the past decade and many product companies across different verticals are opting to outsource some of their processes to a third-party service provider. In the recent past, engineering services have been outsourced on a really large-scale and the main reason has been to reduce costs. But this is not the only reason for outsourcing anymore. Outsourcing engineering services helps in bringing about creativity and innovation in the product development and help companies stay updated with latest trends in the industry, thereby getting an edge over their competitors. Leading global analysts suggest that the spending in engineering services outsourcing market is set to increase manifold in the coming years. There are many new regions providing quality engineering services at reasonable rates and have a large pool of skilled resources. India being the number one outsourcing destination in the world is set to face stiff competition from many other emerging countries. Engineering services were earlier primarily outsourced to a third-party service provider to cut costs. In the future, cost will not be the only reason for outsourcing. 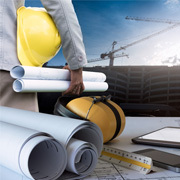 Outsourcing engineering services to expert vendors ensures creativity and innovation in the project, as these service providers have the required skills and manpower to provide quality, security and sustained support at very cost-effective rates, which will become the key outsourcing reason for the clients. Consumers today are well-informed and knowledgeable when it comes to the new technologies being used in engineering domain. Clients expect to have very short project lifecycles and service providers are pressurized to meet these demands and stay ahead of the competition in the market and grab the market share. More and more enterprises will be leveraging their partnership with their service providers to ensure faster product development lifecycles. With the aim of developing SMART products, more and more engineering service providers will look to tie with startups including manufacturing companies and other industry ecosystem players. This will help them get access to faster prototyping and better niche skills. These partnerships will further help in developing economical versions of products and compete in different pricing segments in this highly competitive market. In the coming year, enterprises will look towards adjacent markets for better growth and partner with engineering service providers. This will help them in delivering completely new product designs as well as bringing in niche skills and make the entire process of product development cost-effective and smoother. 2018 and the years after will see a new kind of industrial revolution. This industrial revolution will usher in innovation with the help of new IT solutions. Highly efficient automation systems which are very important for process improvements will be soon replacing the legacy automation systems. These new IT solutions and technologies will prove to be the key drivers in the massive increase in the global engineering outsourcing market. When we specifically speak of engineering outsourcing, different companies use different business models like resource center, cost center, global delivery center, profit center, etc. We will see an increased number of companies setting up offices in different cities in the coming year. Though this has a lot of challenges, it is proven to be profitable for the business if the challenges are tackled with care. The massive pool of skilled engineers in regions such as India and South East Asia will only fuel number of companies from the United States and the UK to outsource their processes to these regions. Good communication skills, accommodative culture, competitive costs, scalability and flexibility, access to the latest tools and technologies will be key factors and boost the spending in the engineering outsourcing domain. Looking for a Reliable Engineering Outsourcing Partner? Contact Us! Outsource2india's vast experience of over 20 years has enabled us to serve clients from different backgrounds and verticals. We are committed to providing high-quality and reliable services at very cost-effective prices. We adhere to Six Sigma standard quality processes while serving all our clients and you can be assured that all the results delivered by us are of high accuracy. Our multi-location outsourcing centers spread across the globe with highly skilled resources helps us to deliver the results within a quick turnaround time. Our team is well trained to identify a customer's needs and has the capability to develop customized results as per the requirement. Our certified team of engineers has the access to some of the state-of-the-art infrastructure and cutting-edge technologies to provide top quality services. If you are looking for a reliable and the best quality engineering service provider, then feel free to get in touch with us with your requirements. We will be more than happy to guide you through the entire process.